Not to be confused with microdata for content on websites, Micro Data in the Contact Center refers to the agent and their states and performance. 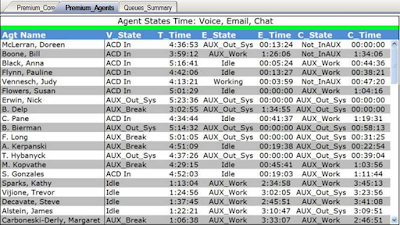 However, some larger contact centers also refer to group level states and performance as Micro Data. 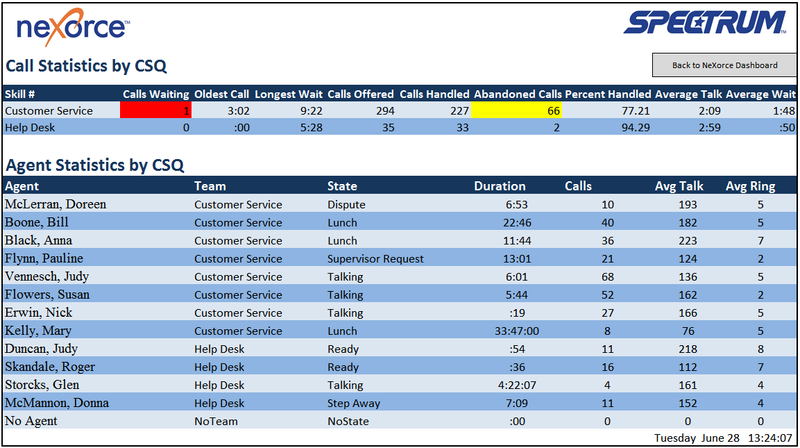 The purpose behind micro data within the contact center reporting is to be fully aware of the agent and group level status and performance. 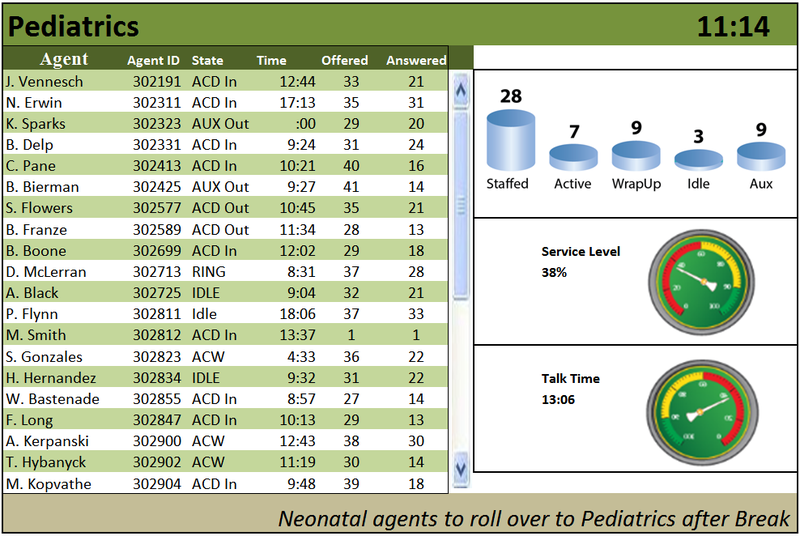 Managers view the macro level data to see the overall group level status and performance. For a general view the macro level data is sufficient. However, managers also need to be aware of the group and agent level states and performance. If, as a manager, you are not fully aware of the agent state you are not doing your job. Let me be clearer about this topic. Managers must be able to immediately determine what state the agent is currently in and how they have performed for the day. 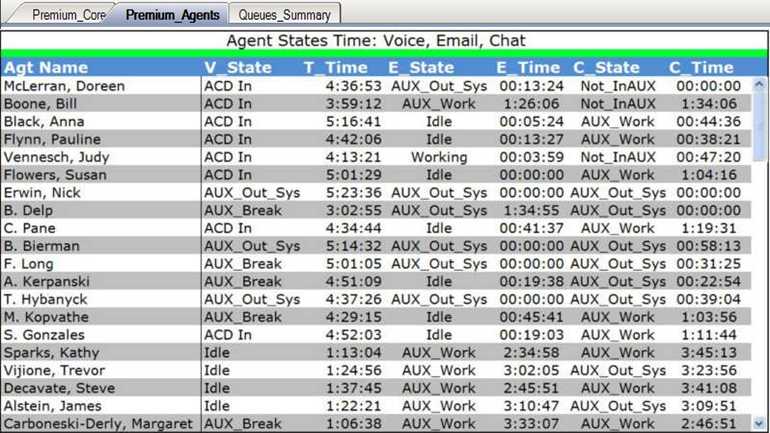 This data should not be focused solely on voice because today’s agents also handle chat and emails. The dashboard should also show group level states and duration. 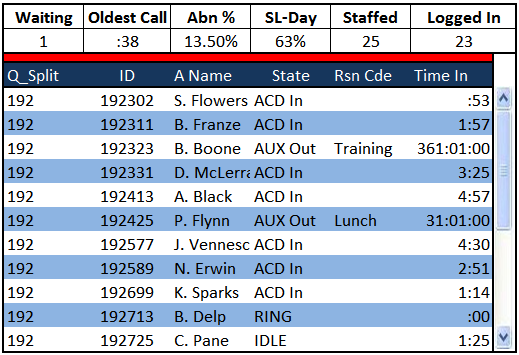 Some people might view this as macro data however in a very large contact center the group level dashboard can be considered micro data. 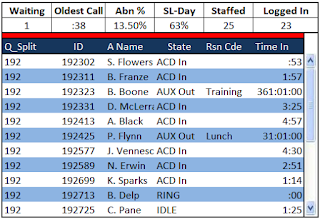 Throughout the day there are many changes that occur that can and do affect the aggregated performance within the contact center. Different industries can be affected by time of year, weather, sports, government regulations and many other issues. The agents need to be aware of the other agent status that their own performance is not negatively affected. A desktop report that shows the agent within their group the states of the others will have a tremendous positive impact on the group and agent level performance. The interesting point of this topic is how often Spectrum still meets with call centers that are not offering this option to the agents. For the micro data report for the agent the size of the dashboard can be a problem so smaller reports showing the same data but with scroll bars solves this real estate challenge. Group reporting is a wallboard or LCD screen that displays the content for everyone in the group to see. 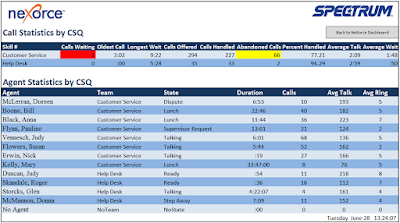 There are many reasons for wallboards being used in the contact center. Agents are not always “heads down” throughout the day. They can be mobile as part of their job function and they take breaks, go to lunch, etc. So having a group level report on the wallboard helps keep the agents alert to the overall status and other agent states. Key contact center people are mobile yet still need to be aware of the micro level of the contact center. 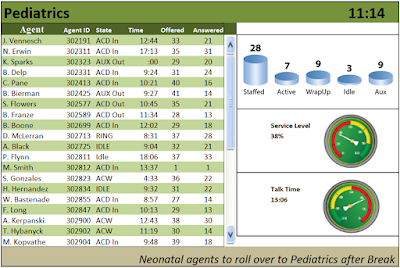 This report can be from a group level real time report down to an agent level historical report. The purpose of this type of reporting is to provide the remote manager complete details when they are working on annual performance reviews for all agents. They could also be away from the office and just need to be aware of the overall status of the groups.